Conservatives have not been shy about their disdain for the poor in recent years. They don’t like the way that they vote, they are okay with the uninsured dieing, they want to take away their school lunch, or force them to stand in segregated lines and feed them peanut butter sandwiches, or shame them in front of other students and make them work for their lunch, and they want to cut their pay. So I am using this post to dedicate the Dead Kennedy’s 1980 classic song, “Kill the Poor” in John Johnston’s honor. 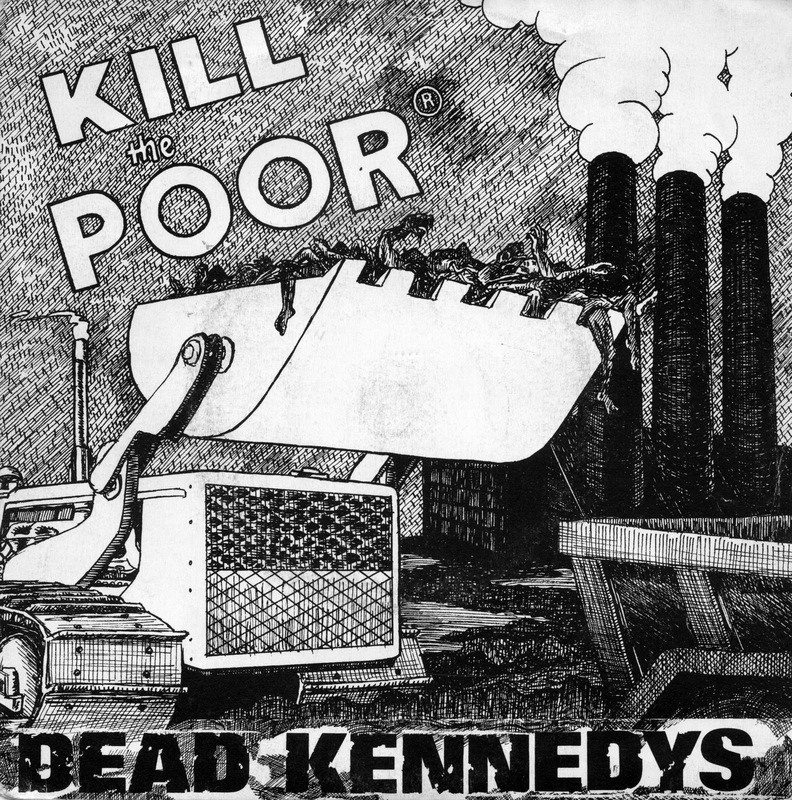 When this scathing attack on elitist attitudes about the poor was released some “folks did not understand the song’s sarcastic undertone and believed the Dead Kennedy’s really wanted to kill the poor. Some of these folks even came to their concerts.” I believe that Johnston would have been one of those people. John Johnston, this one is for you. There was a time in this country when the rich understood that their wealth was carried on the backs of the poor; that they ate their bread by the sweat of another man’s brow. Henry Ford apocryphally wanted his employees to earn enough to buy the cars they made. Nowadays, we have millionaire politicians who are fed by their ultra-wealthy patrons, and a “Financial Analyst” class who manage the money of the ultra-wealthy, and skim the cream as their commission. These are yet another step removed from the half of the American public who work long hours at two or more jobs to bring in less than $50,000 per year—often much less.